Florida holidays beat the competition for the most fun under the sun. From race car action in Daytona Beach to the sand and surf The Sunshine State is famous for, Florida holidays shine as bright as the summer sun. Planning a trip to Florida can open the doors to a well-rounded holiday with the perfect blending of action, adventure and absolutely nothing to do on the beach. Plan your work and work your plan to make the most of what Florida has waiting for you. Single Florida destinations are always a favourite plan of attack, or mix and match your coastal and inland destinations for a rich and rewarding Florida experience. Be sure to take some time to visit a few places off the beaten track and make your Florida getaway the best it can be. When you land in Orlando, Disney World holidays are at the top of the list. 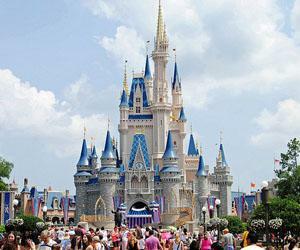 However, some of the lesser known theme parks and amusement areas are a great way to sample the flavour of Orlando and spend the day doing something unique. This fascination park celebrates the indigenous Florida alligator with live performances from the talented creatures and their handlers. Take in a show, lecture and ecology presentation to learn all about the alligators and how they live their extraordinary lives. Gatorland makes an excellent full or half-day excursion and may be a once in a lifetime opportunity to meet the gators up-close and personal. This tropical oasis is home to the Orlando dolphins and a chance to swim and get your photo taken with these magnificent creatures. In addition, lazing on the beaches and wading in the living lagoons brings marine life closer than ever to reach out and touch the friendly fishes. 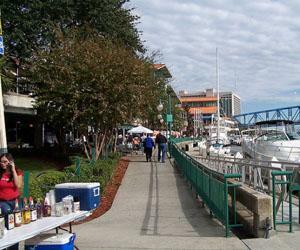 Kick back and enjoy the good life at the resort-style city of Jacksonville. The great outdoors and the abundant wildlife remains the Jacksonville main event with some of the best water and recreational facilities in the state. If you want the pleasure of boots on the ground, the Riverwalk hiking, walking and jogging trail takes you to a pretty place. Feel the cool ocean breezes on this self-guided scenic journey to revive and energize in harmony with nature. 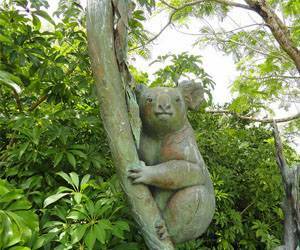 Spend the day within the rich foliage and landscaping at the Jacksonville Zoo and Gardens. The zoo experience welcomes visitors who like to stroll their way through the pathways and enjoy a surprise of what’s next around the bend. Birds, African wildlife and many species indigenous to the area flourish in this lush zoo facility ideal for all ages. The sugar sand shores in Miami represent all the glamour and glitz of the riviera. Home to the famous South Beach, Miami is the place to stay and play for the ultimate seaside getaway. Windsurfing, sailing and deep sea fishing are easy to book and just minutes away from almost any shoreline Miami hotel on the scene. This unique zoo contains cage-free quarters for the critters and has become an animal lover’s dream. These animals are properly socialized and live together peacefully from one species to the next. Perhaps it’s our turn to learn from them about how to get along and live a Ray Charles’ Wonderful World on planet earth. This interactive children’s museum is fun for all ages. The goal of the Miami Children’s Museum is to present the basics of life to young minds and give them a chance to grasp science and industry on their own terms. Some museum exhibits include teaching children about the world of banking, how to care for pets, all about cruise ships, supermarkets, TV studios and so much more. The Children’s Museum is an excellent teaching tool to broaden a child’s mind and teach them to dream big.